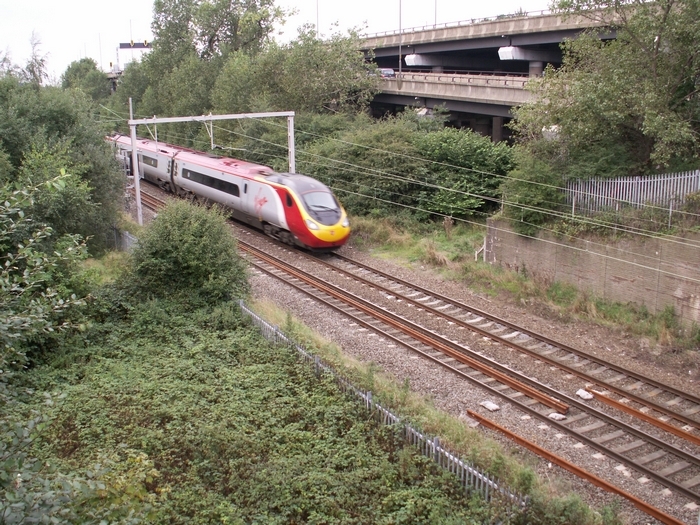 Wood Green opened in 1837 on the GJR as 'Bescot Bridge' and was promoted as a station serving Walsall which, to those with geographical knowledge of the area, was in fact a good 2 and half miles away! This misrepresentation was not lost on potential passengers who largely ignored the station with the result being its closure on 1850. In 1881 the LNWR deemed the rail network to be sufficiently extensive and rail travel significantly popular to open another station on the site, this time called Wood Green, which fared slightly better than its predecessor, closing in 1941. 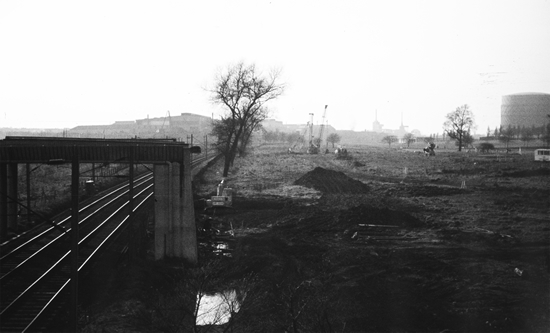 Above we see the line through the cleared Wood Green station site on 16/04/67 during the construction of the A461 traffic island from which the forthcoming M6 could be accessed at Junction 9 (photo: David Bathurst). Above-left the station site today yields nothing of its former incarnation due to the total re-sculpturing of the landscape to encompass the M6 and the trading estate which can just be discerned to the top-left of the photograph. 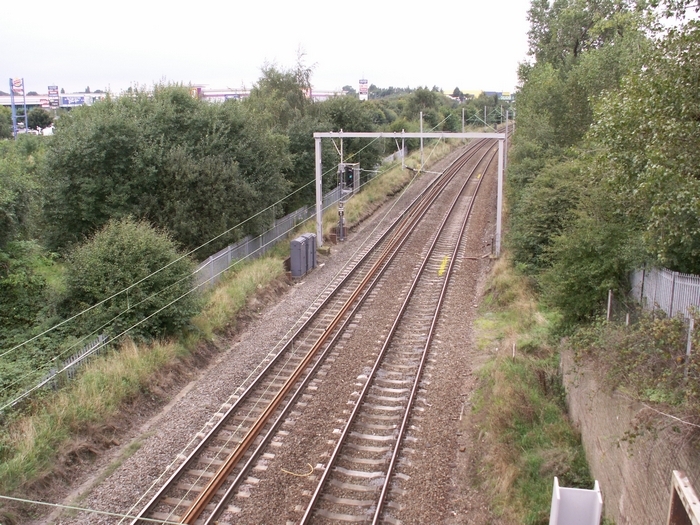 This shot is taken from the A461 traffic island looking towards Darlaston James Bridge. 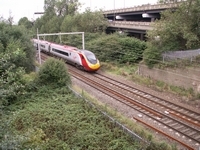 Above-right a Virgin Pendolino thunders through the site of Wood Green station with Junction 9 of the M6 looming in the background.